Yesterday, we spent the day in San Francisco. We started with breakfast at Mariposa, a 100% gluten free bakeshop in the Ferry Building. After stuffing ourselves full of gluten free almond bear claws, cinnamon buns, Pain au Chocolat, and a yummy tart, we walked down to Pier 39 to see the sea lions, then took a Gold Rush walking tour of the city. 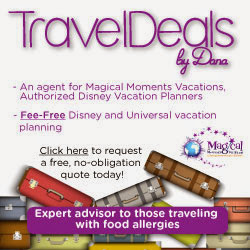 Originally, our plan was to have an early dinner at Pica Pica Arepa Kitchen, a 100% gluten free restaurant featured on Diners, Drive-Ins, and Dives, that we first dined at three years ago on our last visit to San Francisco. 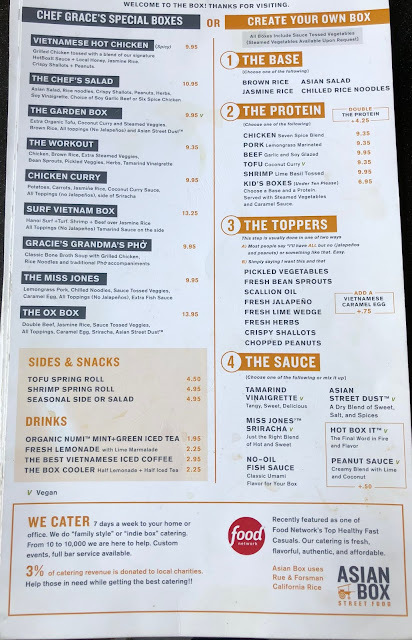 As the day wore on, and we talked about having a lighter dinner, we decided to go to Asian Box, which was within walking distance of our Gold Rush tour. This 100% gluten free fast casual restaurant serves farm to box Asian street food. 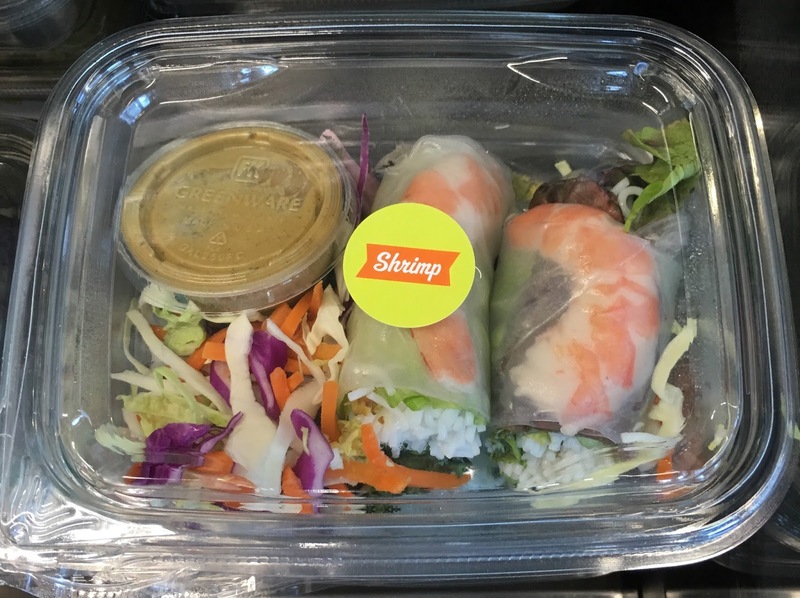 We all started by picking our base (brown rice, jasmine rice, Asian salad, or chilled rice noodles), then a protein (chicken, pork, beef, shrimp, or tofu), toppings and sauce. 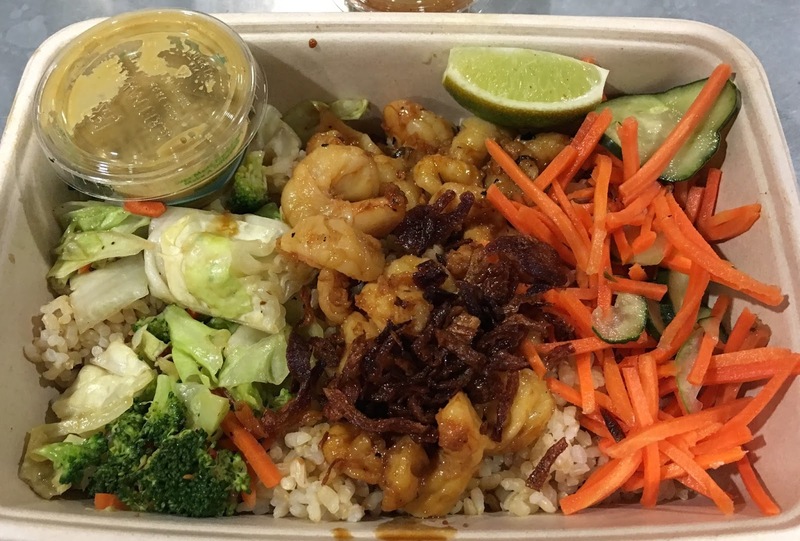 I chose brown rice with shrimp, pickled vegetables, crispy shallots, lime, and tamarind vinaigrette. All boxes include sauce topped vegetables, but you can opt for steamed vegetables instead. 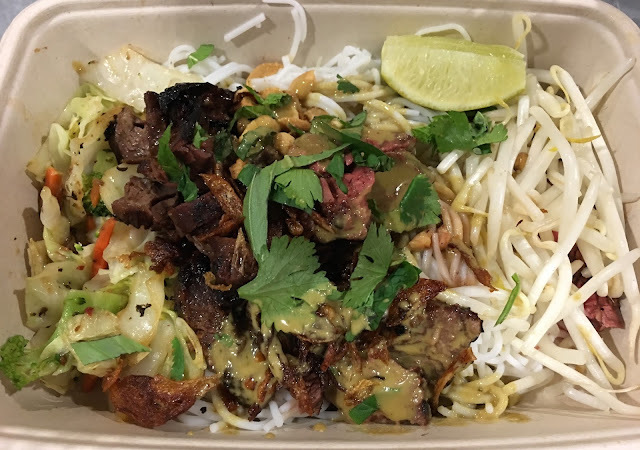 My husband picked chilled rice noodles, beef, fresh bean sprouts, crispy shallots, chopped peanuts, fresh herbs, lime, and peanut sauce. 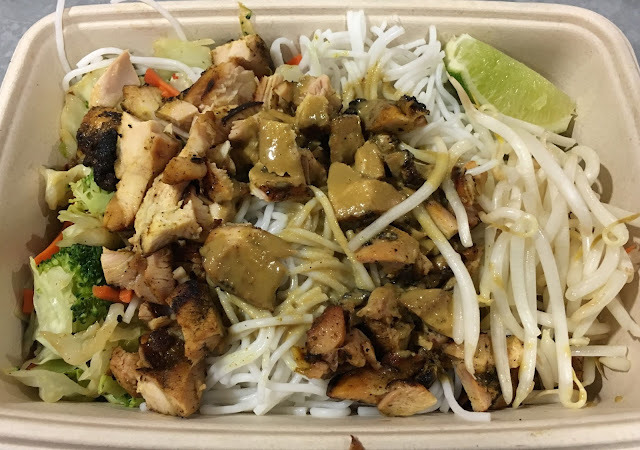 Our daughters chose chilled rice noodles, chicken, fresh bean sprouts, lime, and peanut sauce, which they both loved. 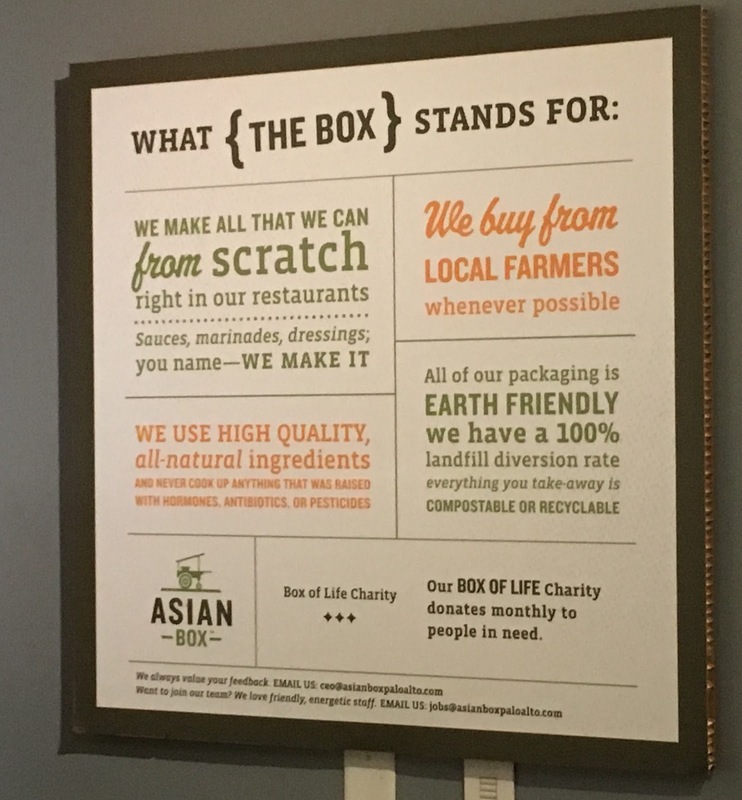 Mitch and I also thought our boxes were great, and we look forward to dining at Asian Box again soon. They have restaurants in San Francisco (inside Macy's Union Square), Palo Alto, Mountain View and Los Angeles, and will be opening another location in Irvine, California soon. As we drove out of the city, we ate the gluten and dairy free chocolate chocolate chunk cookies we bought at Mariposa earlier in the day. 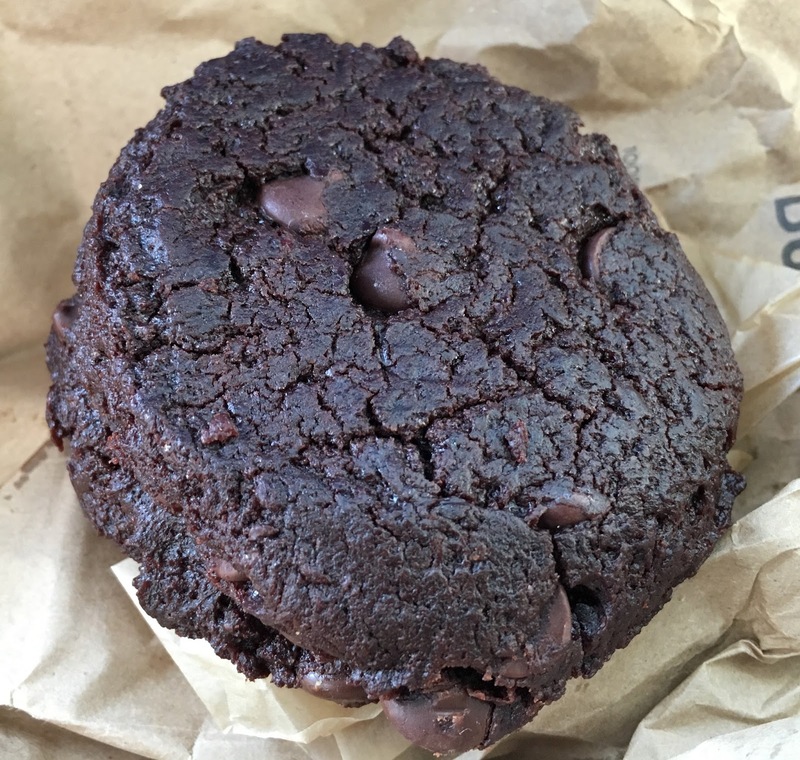 With the shape of a cookie, but the taste of a brownie, these amazing cookies will leave all chocolate lovers wanting more. If we don't make it up to San Francisco again soon, I might have to place an order to have some shipped to our house. Since I wrote this review, we have dined at the Asian Box in Palo Alto several times. 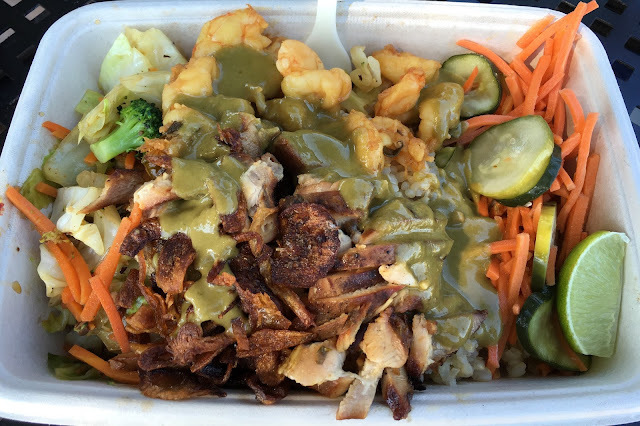 I usually order a box with brown rice, shrimp, chicken, pickled vegetables, crispy shallots, lime, and peanut sauce. Some day, I hope to try their shrimp spring rolls with peanut sauce. 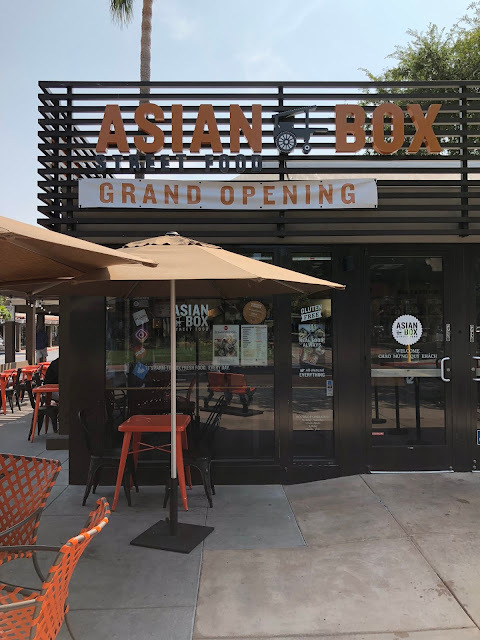 We ate at the new Asian Box location in Campbell, California shortly after it opened. You can view all Asian Box locations here. 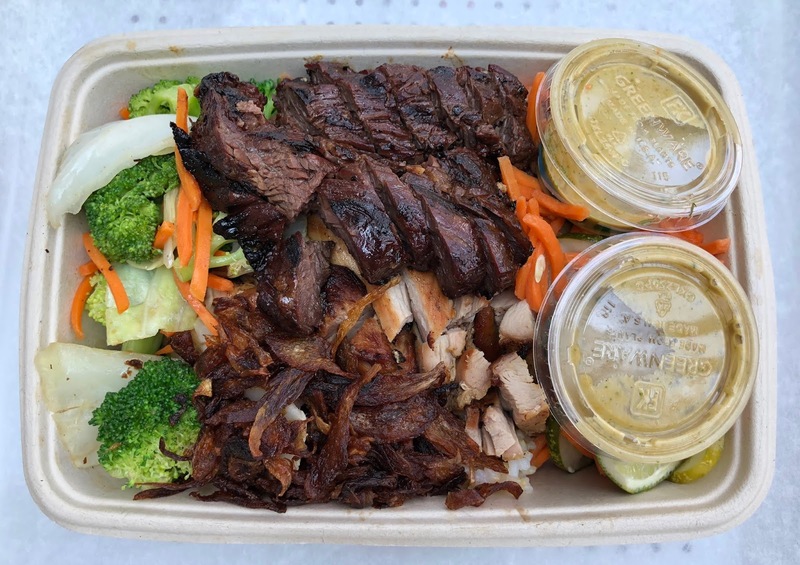 I had a create your own box with steak and chicken, brown rice, double crispy shallots (they are amazing), pickled vegetables, and double peanut sauce. 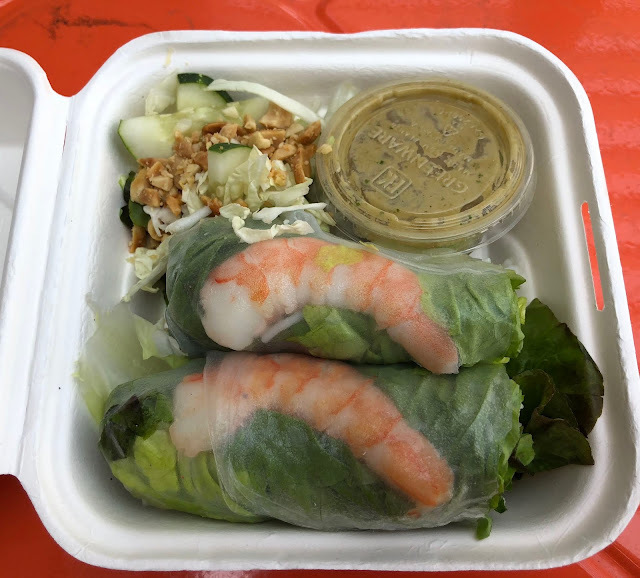 Since the last time I updated this review, we have tried the shrimp spring rolls with peanut sauce. We enjoy them so much, we order them on every visit now. 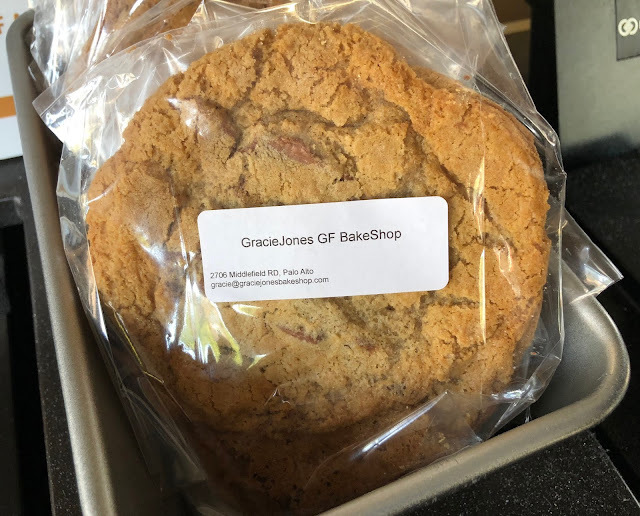 Gracie Jones GF Bake Shop baked goods are available at the Asian Box locations we visit in the San Francisco Bay Area. Gracie is the executive chef at Asian Box. 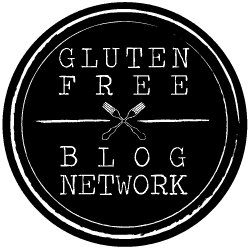 You can read my review of her bakery here. 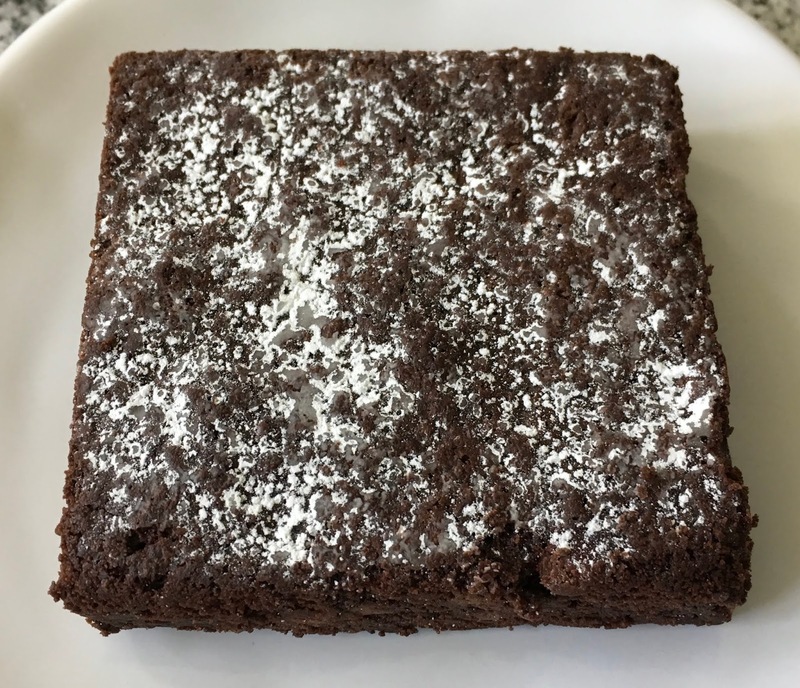 We purchased a brownie on our recent visit, and brought it home to enjoy later. It was so good, I wish we had bought more than one. We especially enjoyed the hint of cinnamon. You can read more about Asian Box on their website here. 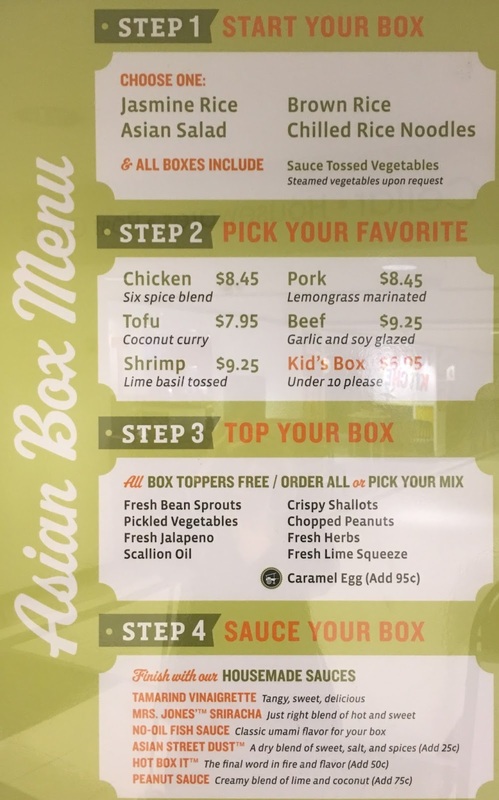 What are your favorites at Asian Box?